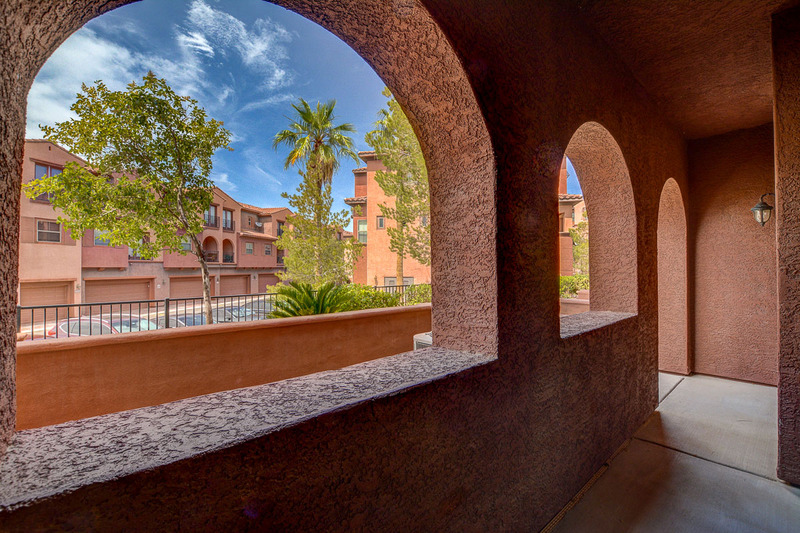 The photo above was taken from a 3 level Townhouse we just sold in Fiore in Tuscany. It is the only attached home community in the Tuscany masterplan. Our client is an investor and he was able to secure the 2000 sq. foot property for under $290k. 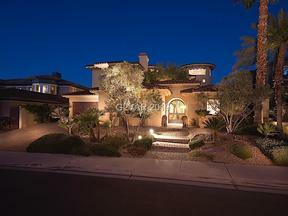 Tuscany is one of Henderson’s most beautiful and affordable master planned communities. 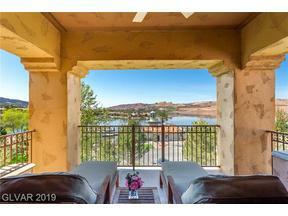 Located on the way to Lake Las Vegas and Lake Mead, near lots of new shopping, Tuscany offers guard gated amenity rich living at very affordable prices and LOW HOA fees. At Tuscany, you get a lot of bang for your buck in housing and lifestyle. The homes surround a Ted Robinson 18 hole CHIMERA Public Golf Course. 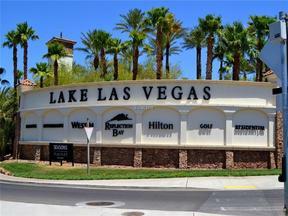 Here is a handy link to many FAQ’s regarding this Henderson masterplanned community. CLICK HERE FOR FAQ TUSCANY INFO. At present, there are a variety of resale and new homes under construction at Tuscany as well as a brand new condo/townhome complex. Have a look at the Tuscany amenity photo gallery below and then scroll down the screen to view all Tuscany resale homes on the market. 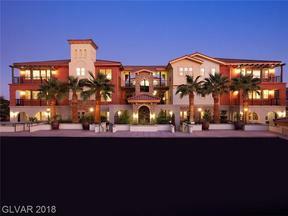 As Henderson residents, our Team knows Henderson and Tuscany real estate in & out and we can help you find a special lifestyle at LOW HOA dues of just $175 per month. 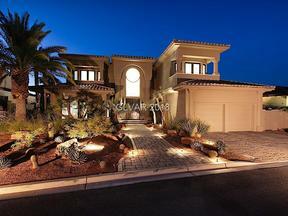 This entry was posted in Tuscany and tagged Guard Gated Homes for Sale in Henderson NV, henderson NV Guard Gated, Tuscany, Tuscany Community Homes for Sale in Henderson NV, Tuscany Henderson Homes for Sale, Tuscany Homes for Sale. Bookmark the permalink.